We're excited to announce a new integration with SportsRecruits. Macomb County Cougars is committed to helping those players in our program that have aspirations of playing in college. We have integrated with SportsRecruits to give our student-athletes a competitive advantage in their recruiting journeys. 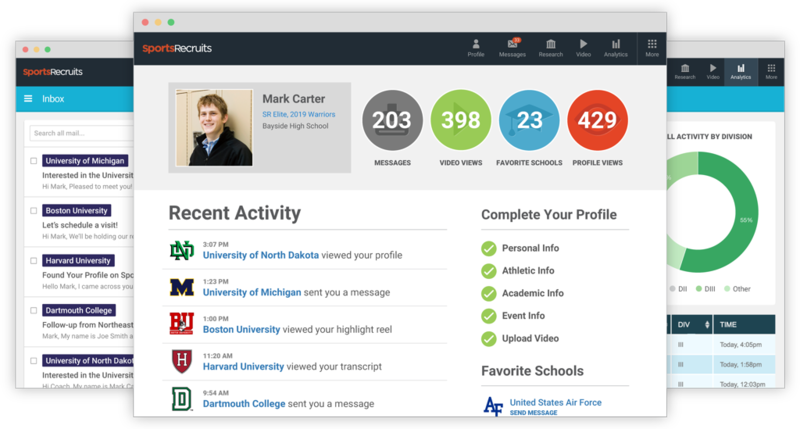 The SportsRecruits Recruiting Platform is a state-of-the-art recruiting software that connects student-athletes with every college coach in the country - automatically. SportsRecruits is a platform that provides clubs, players and their families access to every college coach in the country. Club organizations use our platform to empower their players in the recruiting process and oversee their efforts and communication with complete transparency. Connections made on the platform have resulted in commitments to the best academic and athletic institutions across the country. SportsRecruits is headquartered in New York City. For more information, visit sportsrecruits.com. 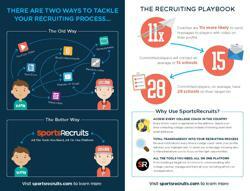 Using SportsRecruits is simple, intuitive, and powerful. Watch the demonstration video below to see some of the ways SportsRecruits will connect our club's student-athletes, parents, and staff, with college coaches. In addition to the innovative SportsRecruits Recruiting Platform, SportsRecruits also offers its educational and inspirational resources to help student-athletes and families navigate the recruiting process. Below, we've included links to a selection of articles to help you get started on the right foot and execute the best possible recruiting process. We are committed to guiding our student-athletes on their recruiting journeys. If you need additional help with the platform, including personal support from the SportsRecruits Customer Success team, access the Knowledge Base. We are very excited about this investment! Normally, a membership to SportsRecruits costs $249 per year, but through our club this opportunity will be offered at a discounted rate Please check for details. SportsRecruits will provide our athletes with a suite of tools to maximize their efforts in the college recruiting process. Using the build-in messaging system, our athletes will be able to contact any school in a matter of seconds. This will be our one-stop-shop for everything college recruiting as SportsRecruits also gives us the ability to oversee each players’ recruiting process. sportsrecruits.com, is the portal that our club utilizes to facilitate our messaging, school searching, video posting, and profiles for our players. Each player must register with us first so that we can create an account. For the 2018 season the cost is $85, and the deadline is February 11th to register. Not sure if it’s worth it?? It is!! Check out the demo video HERE!